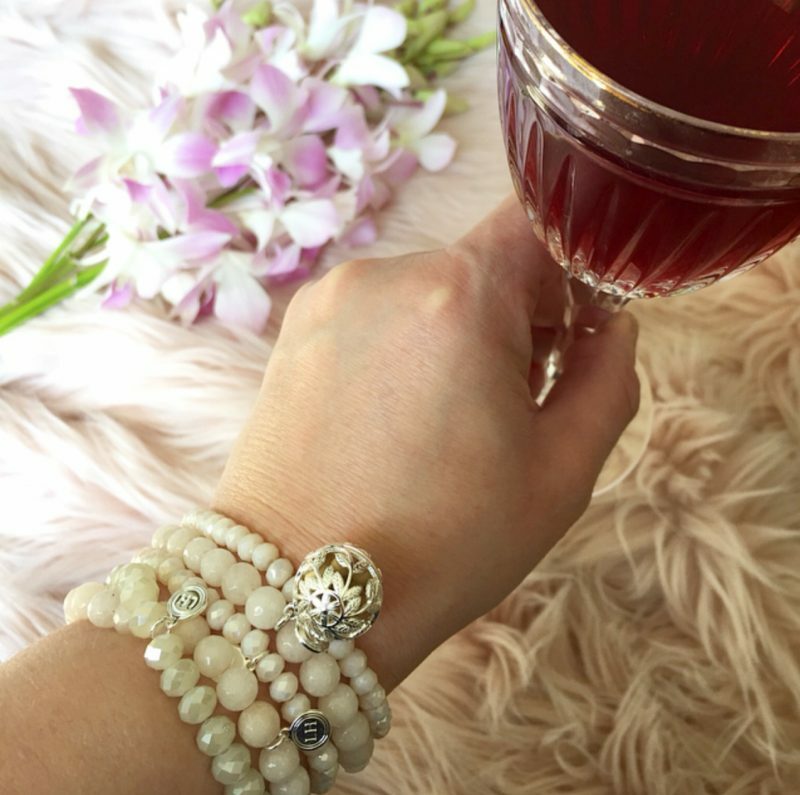 Innovative, beautiful and scent-sational is how I would describe the Lisa Hoffman bracelets with their filigree charm encased fragrance beads. 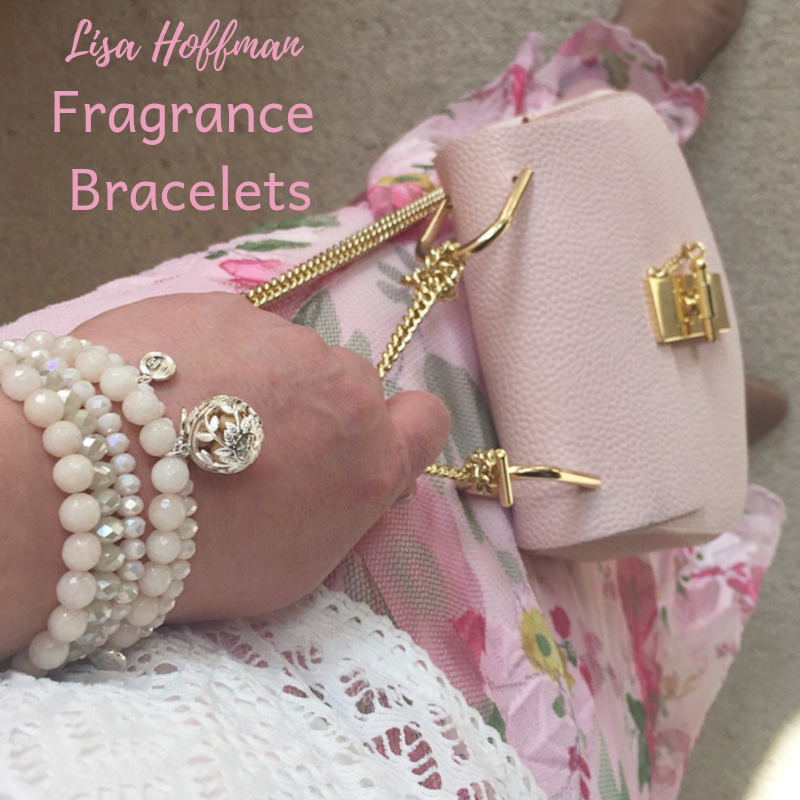 If you’re as intrigued by this fragrance concept as I was when I first heard about it keep reading these Lisa Hoffman fragrance jewelry reviews to find out more about these amazing fragrance bracelets. It’s an entirely unexpected way to wear fragrance. 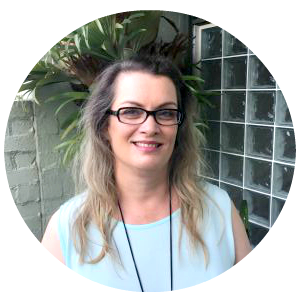 They first came to my attention via TVSN who is now selling Lisa Hoffman Jewelry Australia wide! Regular Fabulous and Fun Life readers would know that I absolutely love fragrances. I have previously written an article about 7 tips on making your fragrance last longer. Click HERE to read this article. I also love room fragrances for my home using a glass essential oil diffuser. 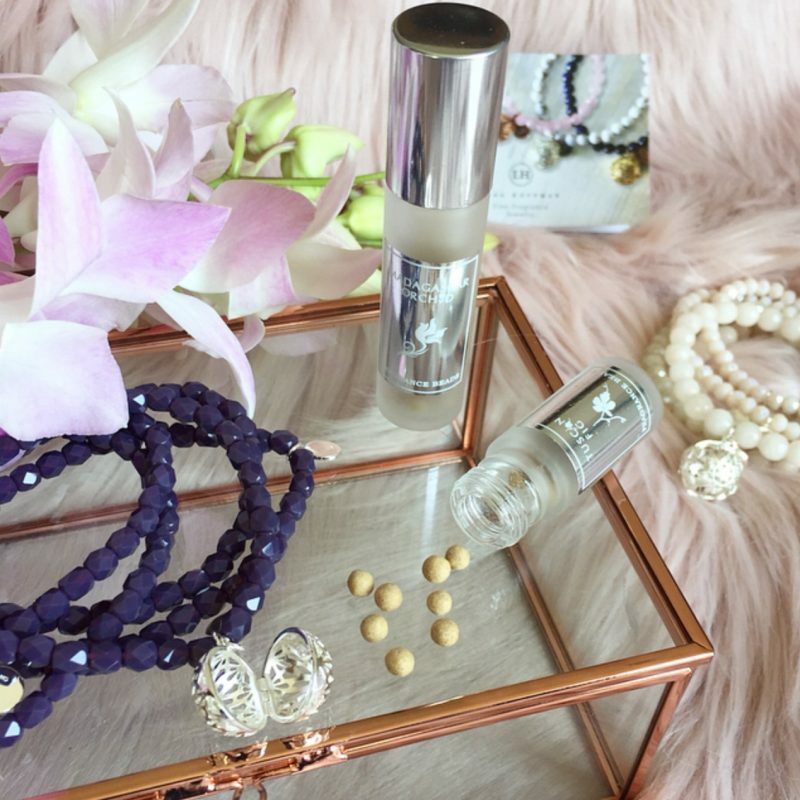 So when I came across the Lisa Hoffman fragrance jewelry range I knew I simply had to try it! 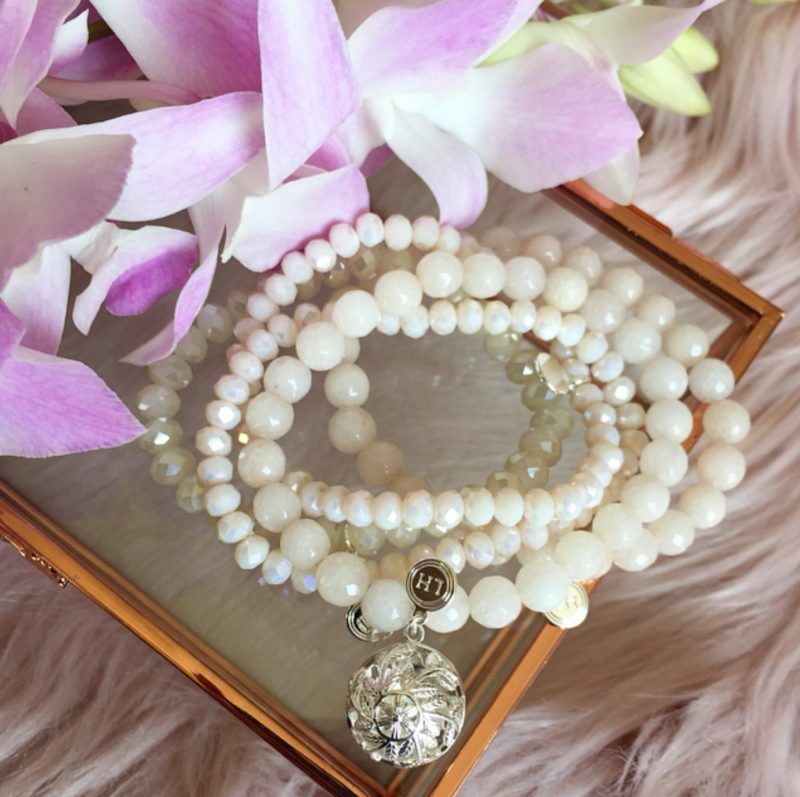 These Lisa Hoffman Fragrance Bracelets look gorgeous! I received the Lisa Hoffman 5 Strand Crystal Sparkle Stretch Bracelet Set in Aubergine (see photo below) and the 5 Stack Crystal & Gemstone Bracelet Set in Winter White (see photos above). I especially love how there are three different types of stone strands in the Winter White set including two Champagne Mashan Jade strands, two champagne crystal strands and a fifth champagne crystal strand with slightly larger stones. This adds interest and depth to these bracelets. This is my favourite Lisa Hoffman fragrance bracelet. All of the strands in both sets include an elegant silver LH logo tag and one strand in each set also includes an exquisite dangling silver filigree locket which opens up for you to place the fragrance beads in. The filigree design on different styles of bracelet are different. The bracelets are stretchy and thus easy to put on and take off. 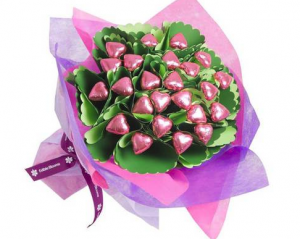 They look beautifully feminine and can be dressed up or down. You can wear each bracelet individually or as a set but I love wearing mine in a stack of 5. You can mix and match bracelets between sets if you want. 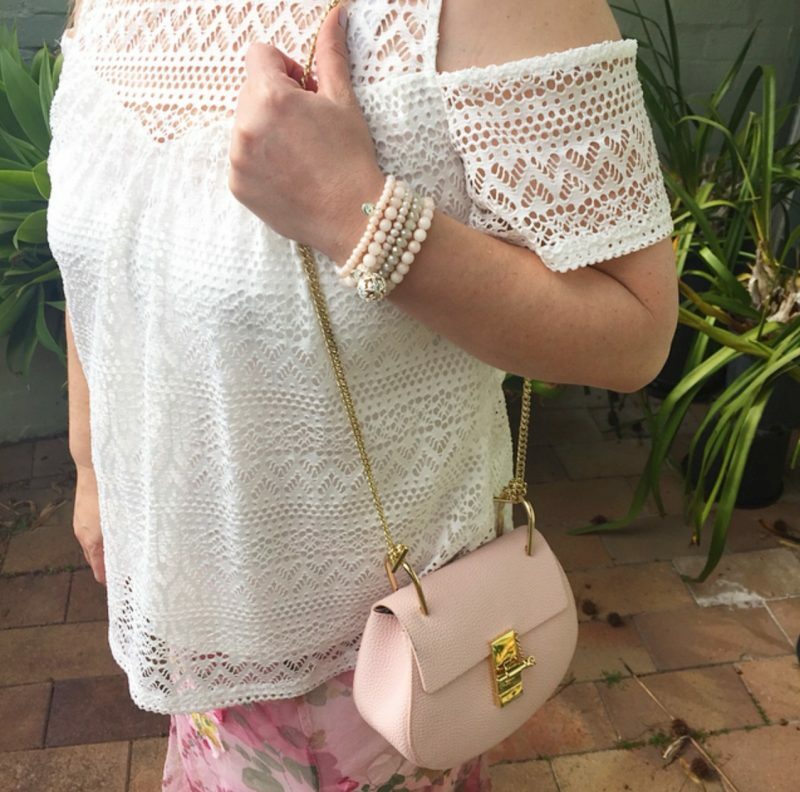 There is also a beautiful rose bracelet that was recently named the Best Pamper Product in the 2018 TVSN Customer Beauty Awards. 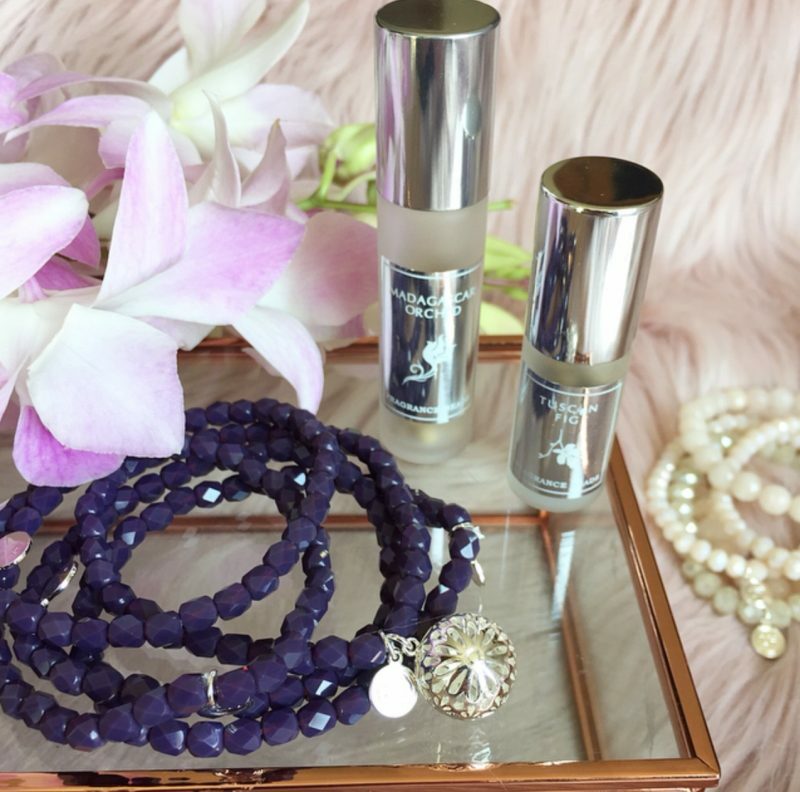 Click HERE to see the range of Lisa Hoffman fragrance bracelets stocked by TVSN. It is the Lisa Hoffman fragrance beads that make these fragrance bracelets so unique and innovative. As mentioned above each bracelet set contains a filigree locket that opens up and into which you place the Lisa Hoffman fragrance beads of your choice. Once the locket is filled, fragrance beads will slowly release an infusion of scent for weeks at a time. Each of her signature fragrances evokes the essence of coveted destinations around the world. I received the Madagascar Orchid fragrance beads and the Tuscan Fig fragrance beads. Other fragrances in the collection include Japanese Agarwood, Hawaiian Plumeria, Brazilian Begonia and French Clary Sage. Both of the scents I received are lovely, feminine and subtle. You can increase the impact and intensity of the fragrance by the amount of fragrance beads you add into the locket and also by adding fresh beads. I found the beads to hold their fragrance for several weeks. As you move your arm, the beads in the bracelet move and release a subtle whiff of lovely scent. The beauty of these fragrance beads are that they don’t touch your skin so this form of fragrance is perfect for fragrance lovers with sensitive skin. Whenever I wear these fragrance bracelets I receive compliments about both the gorgeous design of the bracelets and the lovely scent. As I never feel fully dressed when leaving the house without wearing a fragrance I’m so happy to have discovered this new innovative form of wearing fragrances. Lisa Hoffman Beauty Fragrance Jewelry also includes elegant earrings and necklaces. Check out the elegant Lisa Hoffman Rose Gold & Pearl Fragrance Necklace in my Rose Gold Gift Guide post HERE. New limited edition pieces will be added soon. Check out the current range available at TVSN here. Click HERE to read more articles about fragrances. TVSN also stocks PIXI Products. 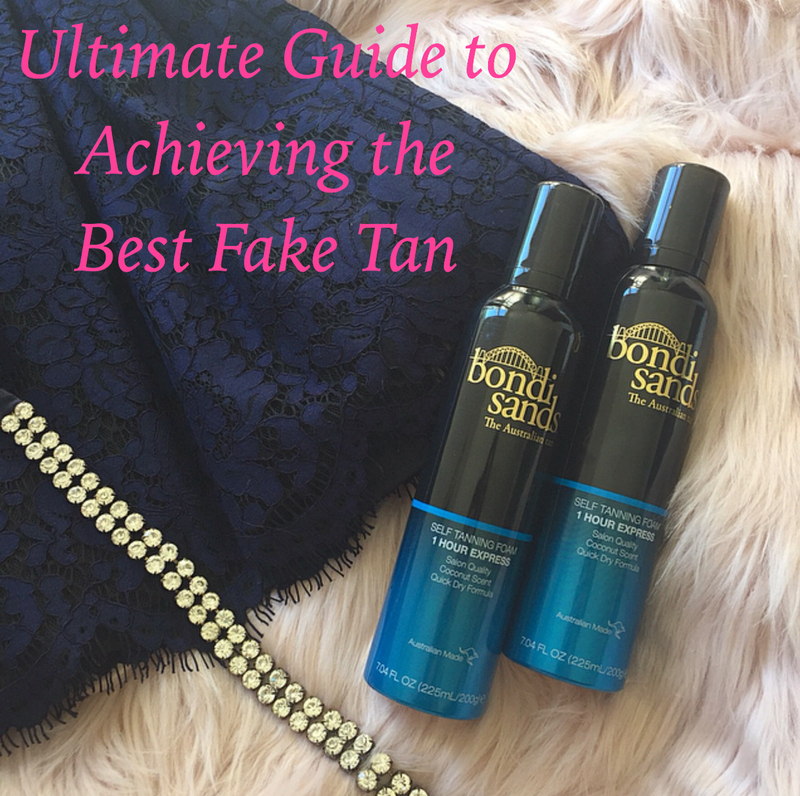 Click HERE to read my review of their top iconic product. Are you a lover of fragrances? Do you wear your fragrances in any non traditional way? What a great idea, these are so gorgeous jewellery pieces, love how beautiful the bracelets are. The details to everything is so amazing! That is such a unique jewellery idea! I always forget to apply fragrance so I’ll keep this in mind for Christmas! That is so cool! What a unique product! I’ll have to check the out as I notice my perfume seems to disappear throughout the day. Oh my, what an awesome creation! I’ve never seen anything like this around. I love how they look super pretty and are functional at the same time. These bracelets are just gorgeous and definitely my style! Love a good multitasker; this is such a cool way to wear fragrance! Alright, these are cool! I never even knew there was anything like this around!! I love this! Cool jewellery and beautiful scents all at the same time. And I feel like, if they’re lasting a few weeks, that they will be lasting much longer then just spraying perfume! I might need to grab myself some.